Whilst BlackBerry OS 10.3.3 has been floating aorund for the last few days already (we have updated the changelog today too! ), now BlackBerry has finally announced it. Apparently, what was really holding the BlackBerry OS 10.3.3 back, according to BlackBerry earlier, was the NIAP certification. Now that OS 10.3.3 is out, BlackBerry also announces that it has now been awarded the National Information Assurance Partnership certification. Whilst this does not really have much to do with normal consumers like ourselves, users in government and other highly-regulated industries still, undeniably, plays a big role for BlackBerry’s strategy. Hence, being awarded the NIAP certification is a rather big deal for the company so that they can support government, enterprise, and regulated customers who require the highest levels of protection for critical data. In addition, BlackBerry 10.3.3 now includes a 3rd party Certificate Manager APIs, in order to allow 3rd parties to store key material in the platform’s protected storage. This OS 10.3.3 update, whilst available (as an autoloader to most for now), will continue to make itself available to more devices via OTA, such as the BlackBerry Passport, Classic, Leap, Z10, Z30, Q10 and Porsche devices, subject to carrier approvals. Even as BlackBerry accelerates its enterprise software pivot, we remain committed to providing the smart in the phone. That includes the BlackBerry 10 software platform. We understand how important BlackBerry 10 is for our enterprise clients, especially those working in government, healthcare, and finance. With that in mind, we’re happy to announce the BlackBerry 10.3.3 for Government Release, targeted at our users in government and other highly-regulated industries. This release, which has already started to roll out across the globe to all BlackBerry 10 devices (please check with your carrier for local availability), further demonstrates BlackBerry leadership in secure mobility and is another milestone in our pivot to focus on software. The latest version of BlackBerry 10 has passed the strictest government-grade security tests to achieve certification under the National Information Assurance Partnership. NIAP manages the evaluation of technology that adheres to the highest security standards in the U.S. as well as the international Common Criteria standards. NIAP approval for BB 10.3.3 means we’re now better-equipped than ever to support government, enterprise, and regulated customers who require the highest levels of protection for critical data. BlackBerry 10.3.3 also includes 3rd party Certificate Manager APIs, in order to allow 3rd parties to store key material in the platform’s protected storage. 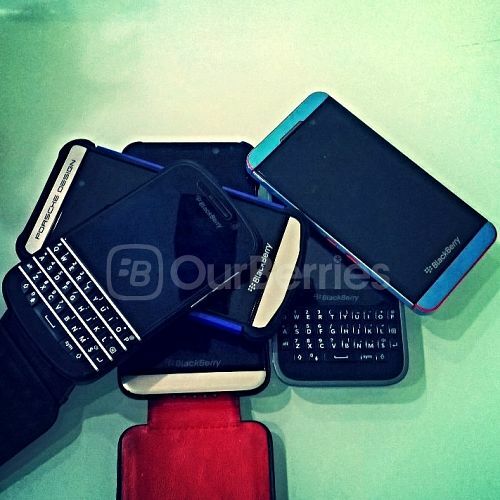 Users of BlackBerry 10 devices such as Passport, Classic, Z10, etc. will receive a notification for the 10.3.3 over-the-air software update. Subject to carrier approvals, the global roll-out of 10.3.3 will become available over the coming weeks for Passport, Classic, Leap, Z30, Q10 and Porsche devices.